Always smile and be consistent - here are our top lesson ideas and resources on classroom management. The ability to manage the behaviour of your class effectively is one of the top skills that every teacher needs. Even the most meticulously planned lessons can go to pot if students misbehave. Many practitioners, including newly-qualified teachers, are always on the lookout useful class management techniques especially before the new school year begins, so we've collected a range of useful resources to help you get the best out of your pupils. In Positive ways to manage behaviour, Paul Dix provides a range of techniques for getting your class under control, including: establishing explicit rules and routines, providing students with clear choices around their behaviour, and letting them start each day with a clean sheet. Further advice on some of the most common behaviour problems can be found in Classroom management strategies. Suitable for students of all ages, the resource covers dealing with pupils who are defiant, use abusive language, refuse to work or make silly noises in class. It highlights "needs-focused interventions", such as breaking up tasks into small and manageable chunks, taking time over your classroom seating plan and encouraging parental involvement. 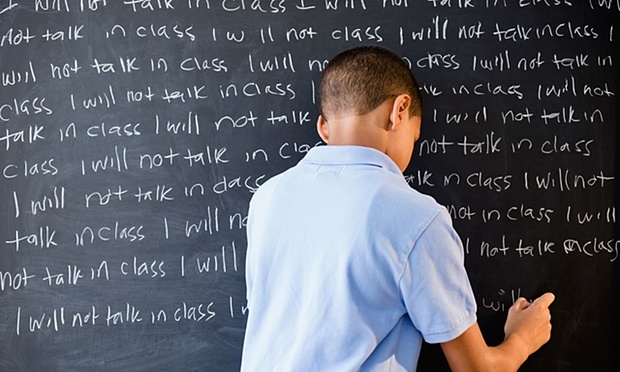 Strategies to avoid include giving ultimatums or ignoring disruptive pupils. Coping Strategies for Teachers contains tips on preventing, reducing and managing unacceptable behaviour by focusing on time management. Ideas include: having a challenge on the board for pupils to complete as they arrive in class; giving responsibility to students for activities such as taking the register; and keeping a behaviour file to record any incidents. To encourage positive behaviour in early years and primary Twinkl has created a range of wall display resources. These include a set of posters about good listening and a Noisometer that you can use to set and monitor noise levels in the classroom. To celebrate good behaviour, Twinkl also has these star of the day and star of the week posters. As an alternative to the traditional traffic light behaviour management resource, you can also use a set of Behaviour Management Dragonsto send a warning to those misbehaving in a calm, non-confrontational way. This record chart and the "I can calm myself down" poster, which provides four calming points for students to use independently, are great additions to any classroom and teachers can also use them to keep a simple record of any behaviour issues. Using a cooperative learning method can also help to reduce or prevent behaviour problems as it gives children less of an incentive to disrupt class. This approach can also help develop social skills naturally. Behaviour Needs has produced aguide on how to use the cooperative learning method effectively, including how to group students and manage sessions. For newly-qualified teachers, a list of 10 tips has been created by assistant headteacher and mentor Eugene Spiers. Advice includes remembering to smile and greet your class (even the groups you dread), being consistent with praise and sanctions, and calling a selection of parents with good news every Friday. For anyone starting the new school year as a supply teacher, there is a list of top tips from primary teacher Colin Cartmell-Browne. He says that teachers should arrive to class as early as possible, making a note of the school timetable and discussing with other members of staff whether there are any pupils who will need additional support. Secondary teachers looking for time management tips may find resources from the team at Time Management for Teachers (TM4T) useful. They offer advice on how to work as part of a team and how to get a good work-life balance. When all else fails my apology letter from the team at BeatBullying can be used to help a disruptive student write an apology to their teacher, or the rest of the class.